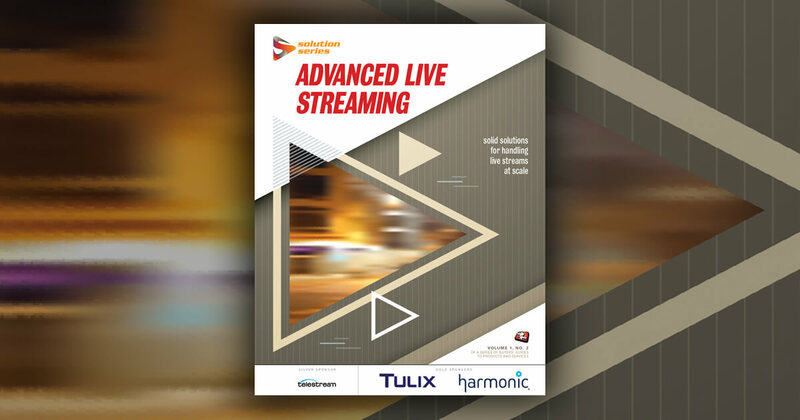 Beyond all the technical and technological challenges of streaming large-scale events is the bottom-line necessity of getting them seen and making them profitable. In this clip from the 2015 Live Streaming Summit, DaCast VP Greg Ellis offers three essential tips for monetizing live event streams: Replay, pre-sell, and providing clear instructions to get less internet-savvy viewers past the paywall and on to the live content you're delivering. Watch the complete panel presentation, Turning Live Streams Into Profits, from Live Streaming Summit 2015. Learn more about Live Streaming Summit 2016. Philip Nelson: What are the three most important things for them to write down on their notebooks or in their laptops to turn the corner and take their webcasting and streaming from something that's costing them money to something that's making them money? Greg Ellis: Always have a replay option. Figure out a way to package and offer a replay for a live event. It doesn't have to be a long one. It can be a one time replay. Have a replay. It is a global audience. People aren't in the same hour of their day when the event happens live. You'll get a much, much bigger overall audience, number one. Number two, presell at least a month in advance. Just, again, my comment earlier about doing the same kind of promotion that you would if you were a concert promoter in your local town. You don't start promoting two days before your live event. Nobody's going to find it. You presell. The third one would be once you've presold, make sure wherever your player is with the paywall you have clear links to instructions about how to walk through the buy because grandma, grandpa, and I'm not using that because of relation. Just my mother comes to mind. 87 years old and she thinks the browser window is the internet and she punches things so when she has a problem it's, "Okay Mom. What did you punch?" You walk through this. Customers on pay-per-view have a lot of these same issues. They don't know how to describe their problem. They don't know how to get through the paywall a lot of times. Our paywall, we tried to make it simple. Cling and Vindicia both offer much more sophisticated and easier to use paywalls than ours. Like I said, our business is streaming, not the paywall particularly. Have clear instructions on how to get through the paywall, how to buy, and open up your paywall 20, 30 minutes before you start doing pre-event programming just like all major sports events do so people can come on and get excited. Then you can couple that with your regular marketing to promote last minute excitement through social media. Video: How Has Mobile Engagement Changed Video Monetization? Agora co-founder Tony Wang discusses how mobile engagement, via multi-host talkback and interaction, has changed the way his company has monetized live video. InPlayer CEO George Meek discusses the challenges of enabling and supporting online sales of video content, from transactions to localization to time-to-market and paywalls. Trying to compete with more established platforms YouNow and Live.me, Busker lets video creators sell physical or digital goods directly to fans. Peter Hartz explains how The Switch leveraged fiber technology to cut, switch, and deliver Univision's live soccer broadcasts from their home office, and how the infrastructure can be used for a range of other purposes including live OTT in this excerpt from his Live Streaming Summit panel. Experts from Akamai, Comcast, Conviva, and Yahoo! discuss key analytics, metrics, and assessment strategies that will help you deliver more effective and profitable live streams. Experts debate the pros and cons of longform live event viewing on the mobile web and native iOS and Android apps in this clip from Live Streaming Summit. The Switch's Peter Hartz and Live X's Corey Behnke make the case at Live Streaming Summit for fiber as a reliable, agile, and inexpensive alternative to traditional satellite trucks for large-scale broadcasts. Video: Can Live Streams Be Secured? TourGigs' Casey Charvet and Right Brain Media's Deke Hooper discuss the challenges of securing live-streamed paid content using traditional methods.